I feel like I’m always making some sort of Christmas Treat or another this time of year. Whether it’s cookies or pies there’s some sort of sweet always baking in my oven. The one thing that I have not ventured into yet is fudge. Gasp! I know! I am blown away by all of the gorgeous kinds that I see littering Pinterest. I went and collected the most IRRESISTIBLE Fudge Recipes just so I could finally make one. Keep an eye on my Instagram for one soon! 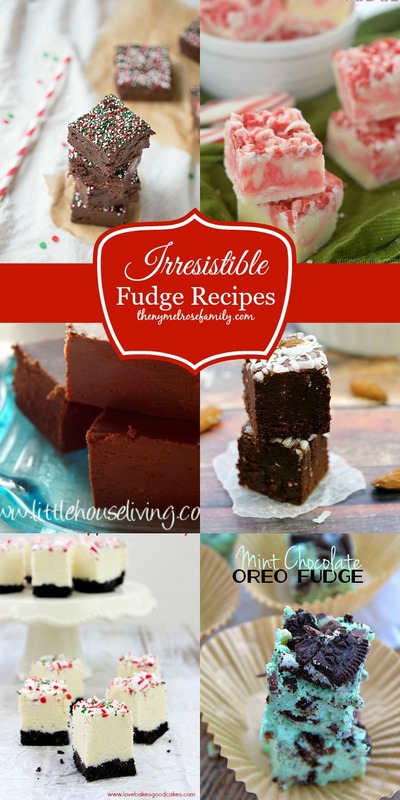 Click NEXT to view the NEXT Irresistible Fudge Recipe.